Delicious recipe to cook pancakes with oat flour for a perfect breakfast. Healthy Recipes Pack brought to you by the Fit Happy Sisters. Learn to cook healthy recipes and eat healthily. Join the Healthy Lifestyle. Perfect breakfasts and afternoon snacks with this quick protein pancake recipe, delicious and tasty pancakes rich in proteins! Pack to cook delicious meringues with a high protein content, especially made for fitness enthusiasts. Delicious waffles with oatmeal flour and egg white, in order to prepare perfect breakfasts and afternoon snacks. Delicious vegan biscuits with coconut flavour made with ingredients of vegetable origin. In HSNstore we offer a series of packs with healthy ingredients in order to cook a series of Healthy Recipes for breakfast and snacks for athletes who do not want to lose the path of the daily diet, and who look for a food focused on generating more energy for daily training and competitions. Where can you buy more products for Healthy Recipes? What are the benefits and ingredients of Healthy Recipes? These packs focus more on obtaining energy with breakfasts and nutritious snacks to eat at home, thanks to the supply of low GI Carbohydrates, apart from seeking to reduce the appetite in periods of weight loss or cutting phase. Oat pancakes, in order to start the day full of energy or to eat them in the afternoon after a hard workout. They can be seasoned with other foods such as Peanut Butter or Hyperprotein Cocoa and Hazelnuts Spread. Waffles with Oat Flour and Egg White are an excellent way of obtaining the four healthiest ingredients to increase our energy: Fiber, Vitamins, Minerals and healthy fats. Protein Pancakes with Egg Protein and Oat Flour. 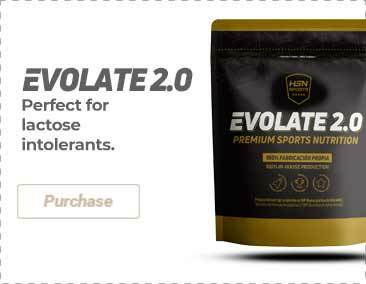 Evocakes (purchased at HSN) is a product to cook delicious and nutritious breakfasts and snacks to have energy for the whole day. Meringue has more protein content and it can be matched with some Hyperprotein Cocoa and Hazelnuts Spread. Vegan Biscuits of vegetable origin made with Rice Flour and Oat Flour. HSN offers you the possibility to buy different packs with which you will be able to cook Healthy Recipes with different nutritious ingredients and products that are rich in nutrients but still healthy. Moreover, they are also combined with different additives and condiments that complement a delicious breakfast or healthy snack even more. You can purchase these packs at the best price these recipe packs and they will be immediately dispatched so that you will receive your order as soon as possible. As we have seen in the different packs that we have available, the Healthy Recipes have a series of benefits for the athlete. Perfect for athletes and active people, since they are rich in proteins and carbs, which provide energy for the most intense workouts.